Often when we travel for work we get the opportunity to visit places that are sometimes not on maps, that rarely get a tourist, that are hidden in the mountains or in indigenous communities sometimes off-limits to the average traveler. We've been fortunate to see the realness of Latin America through its rural communities and talk to those whose lives do not revolve around the beaten path. It is in those small towns where I find the greatest joys, where people who have the least offer you the most. We have had some great feasts in the smallest kitchens and the most meaningful conversations in adobe houses. Whatever happened to children playing outside? 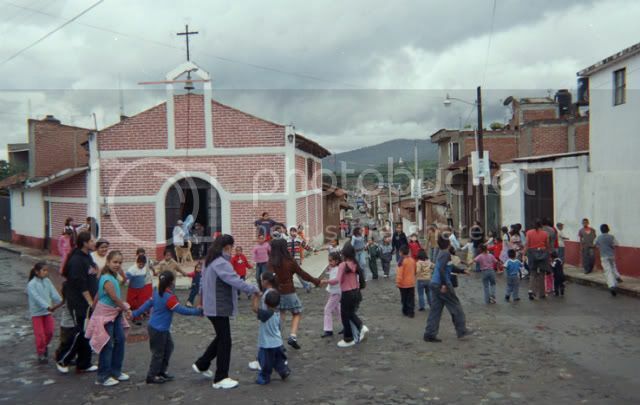 With no Wii video games, arcades or other distractions, kids near San Francisco Uricho, Michoacan enjoy life outdoors. To get to this little boy's home in the Guatemalan Highlands, we had to hike up a mountain of jungle. While Jeremy interviewed his mom, this little guy decided to watch us from the fruit trees in his yard. Yeah, recently different people have asked me what are my favorite places in Mexico. So when I actually started thinking about it, I realized that a lot of the places are not well known.